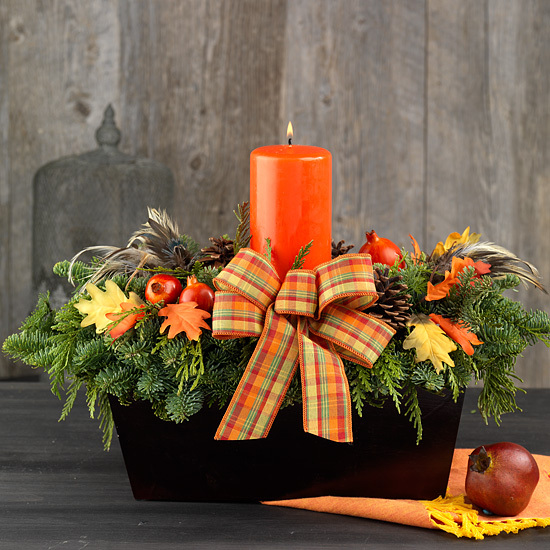 Add Thanksgiving color and candlelight to the table or mantel with this fragrant and fresh design. Our centerpiece combines two types of evergreen, noble fir and cedar with an assortment of natural pinecones, pheasant feathers, faux pomegranates and foliage. It’s sure to be a welcome holiday gift; we suggest ordering one for a loved one far away and one for yourself. Gently remove your centerpiece from its box. 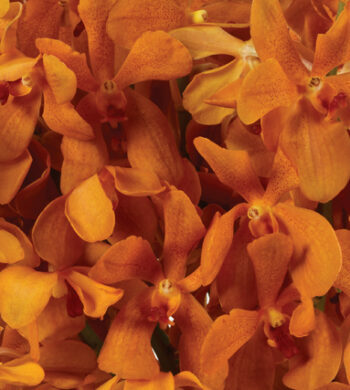 Our fresh designs are originally produced with extra elements so slight shedding is normal. To keep your centerpiece fresh for the longest possible time, you may mist it occasionally with water, avoiding the feathers. The designs are best maintained when displayed indoors, away from direct sunlight, strong heat sources and extreme moisture. Its colors will soften as the centerpiece dries. Please pay close attention to the candle ring, and never leave a lit candle unattended.